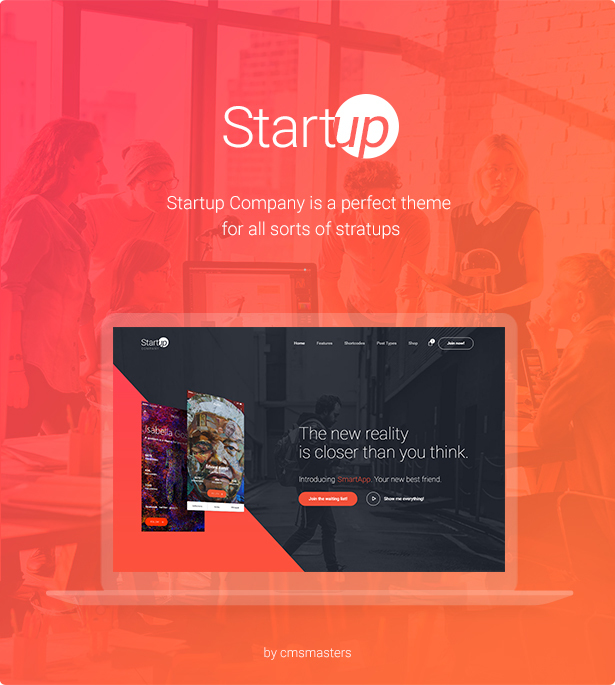 Startup theme is an ultimate tool to kickstart your project, either a software development company, or a product startup or any new business. 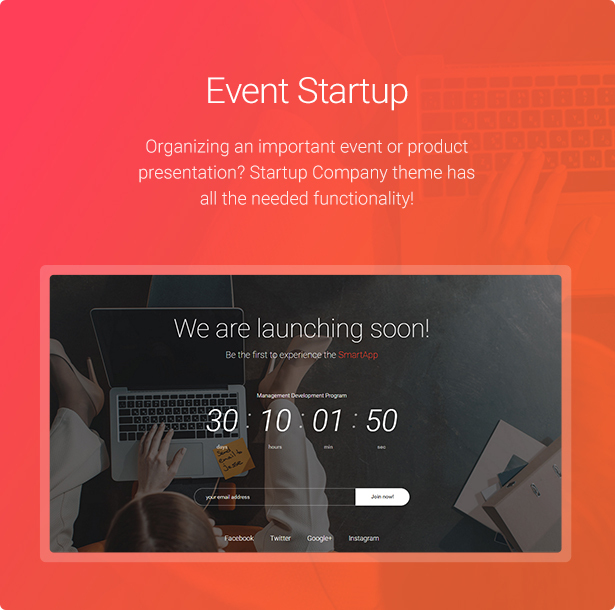 Startup Company theme has all the needed functionality – powerful cutеom portfolio options to showcase your technology projects, Events functionality for business events, blog with lots of options so that you could blog about technology innovations and business ideas. 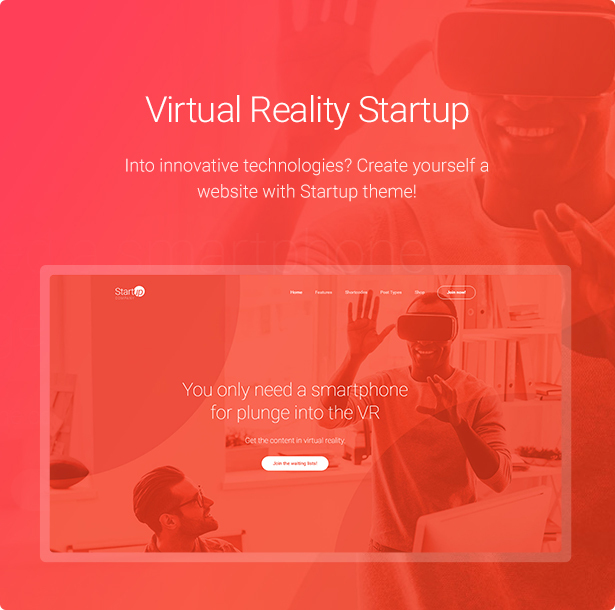 Startup is a theme for all sorts of innovative companies and startups – breakthrough design and top-notch functionality will make your startup successful from the very first day! Custom Admin panel – we have greatly extended initial WordPress admin to provide you with more functionality that includes a wide variety of options and settings and provides maximum customization flexibility to help you create a creative agency website or a design portfolio website. Valid CSS3 and HTML5 – valid code and optimized structure is one of the key points for a successful website that will be successfully crawled and indexed by search engines. 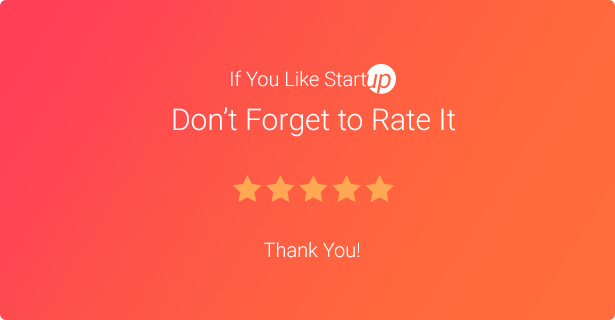 Helpful Customer support – our support is always noted by our customers as fast, helping and professional. We care about this status and do our best to make website maintenance easier for you, providing effective troubleshooting. Custom Widgets – the theme includes a large collection of custom widgets, that allow even more content management possibilities and provide advanced options for social networks, like Flickr, Facebook and Twitter. 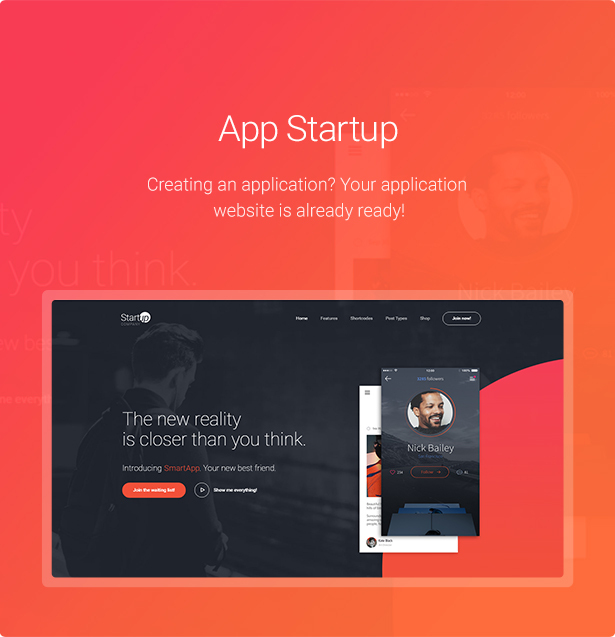 Layer Slider & Revolution Slider – this startup company and technology theme for business and strartups comes with two popular slider plugins included, a Layer and Revolution Slider, both have supreme functionality and breathtaking effects. No need to purchase them, it’s all in! Custom Form Builder Tool – Cmsmasters team has created a custom form builder tool that lets you create fashion questionnaires, application forms for models for your model agency website. 99+ Custom Shortcodes – 99+ Custom Shortcodes work as fantastic building blocks for your pages. Very diverse and easy to manage, you will love them! Custom Post Types – Custom Projects and Profiles post type is an ultimate combination for websites of any category and purpose! Google Fonts – Hundreds of Google fonts let you customize website appearance completely, they are easy to add and can be used anywhere. 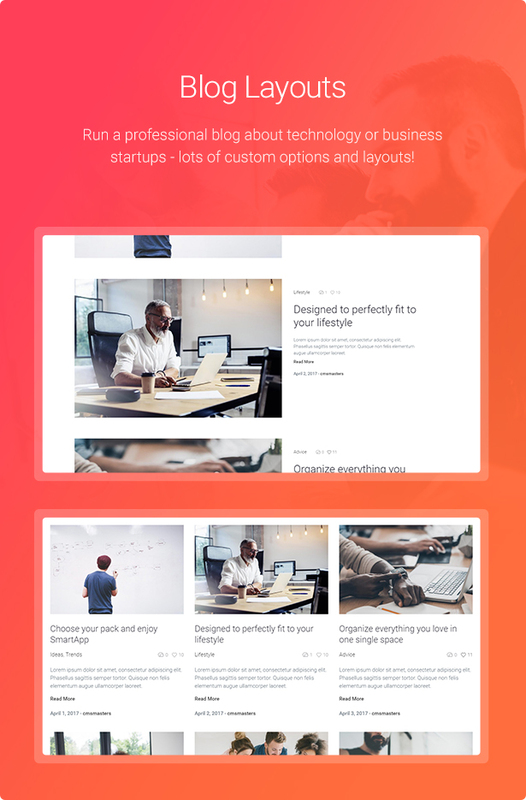 Responsive Layout -Startup Company – Startup WordPress Theme for Business & Technology has a responsive layout that will respond to your screen width and make content appearance be perfect on all devices, from large desktop screens to mobile phones and tablets. 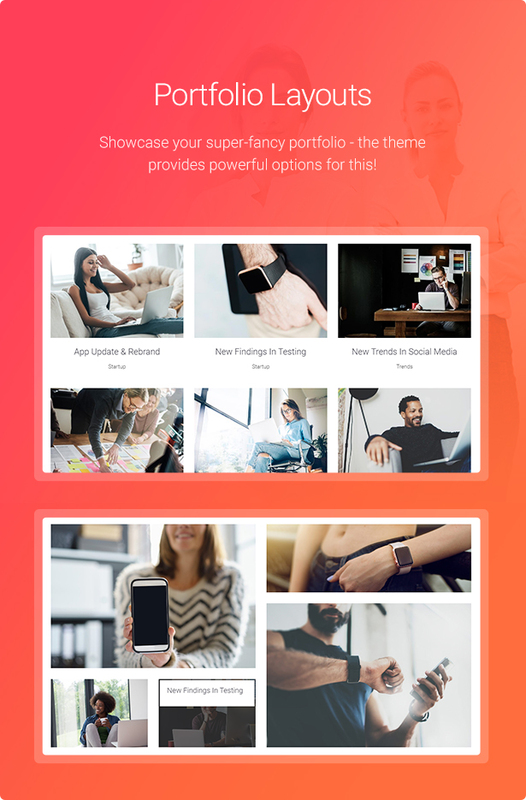 Retina Ready Theme for WordPress – Retina displays set special demands to websites, and good day theme is developed to have an ultimate performance on all retina displays, providing premium presentation quality for your website elements. 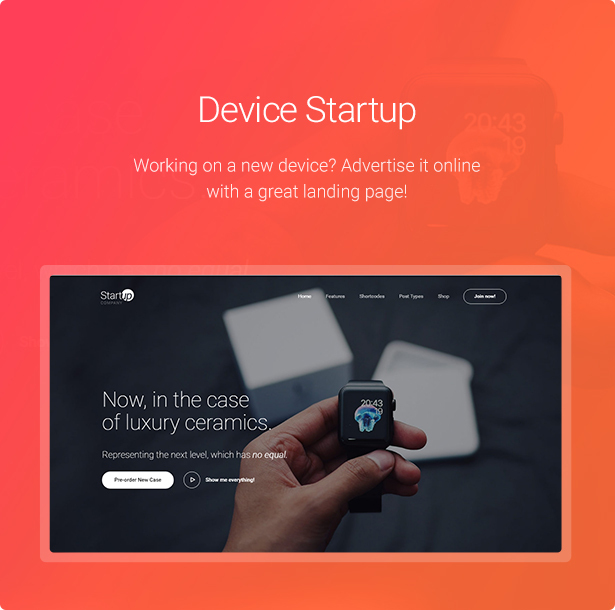 Advanced SEO for WordPress – this technology startup WordPress theme has an optimized code and structure, as well as fantastic Custom SEO options for every page and posts, allowing you to easily add important SEO meta data to all your website content. 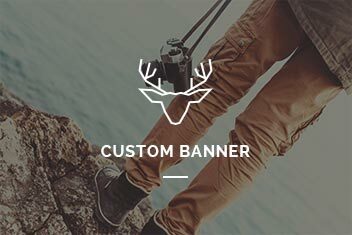 Custom Page Backgrounds – you can set a custom background for any page and post on your website, as well as define in for the whole website in general. Choose color or image background and set repeat type and positioning to it. 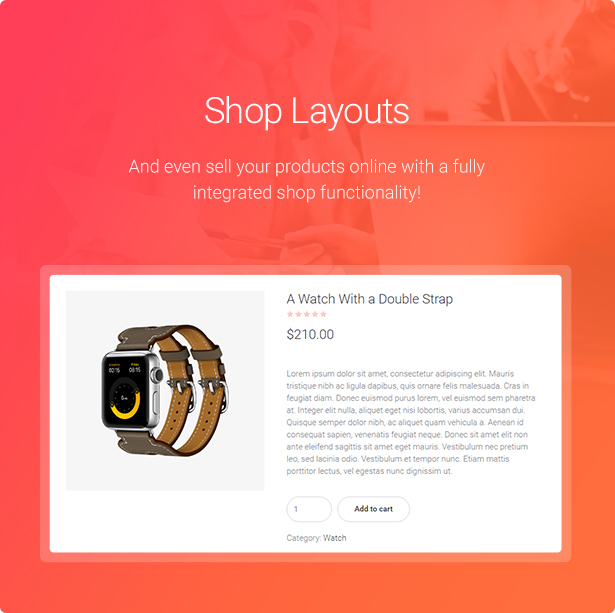 Unlimited Menu Colors – unlimited color possibilities for you main navigation and many other website elements lets you adapt your website appearance to your company style. You can set any color to each of your menu elements. 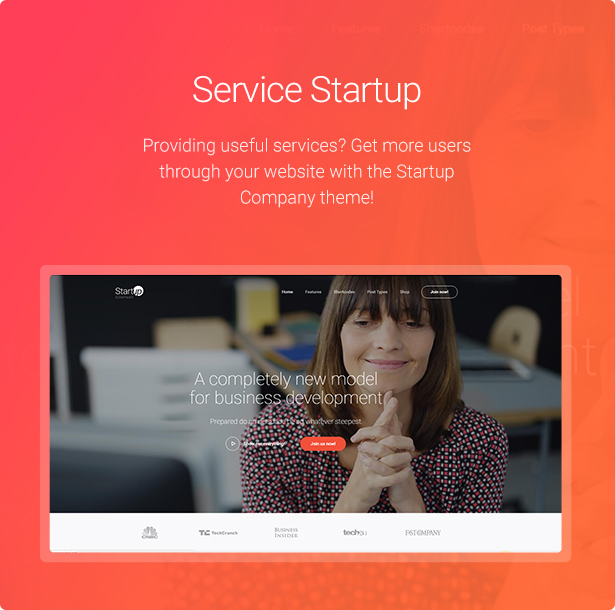 If you need to create a website for a startup company and business website, Creative agency and design studio wordpress theme for financial advisory and business companies will do the work for you. WP Collections, Proudly powered by WordPress.